Cappy’s ‘Mild’ variety is delicious on meat, fish or poultry, and also adds a flavorful savory zest to raw fruits. It’s especially tasty on avocado, melons, strawberries, mango or stone fruits. For veggies, just sprinkle the ‘Mild’ on liberally then cook any way you desire. 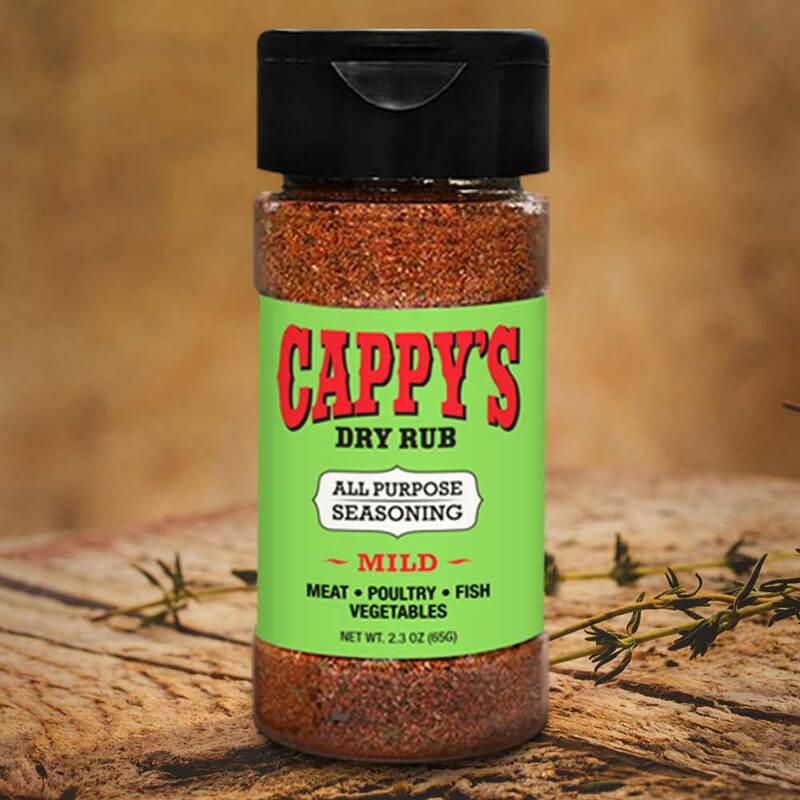 Cappy’s ‘Mild’ spice blend is delicious on all meat, fish and poultry. It also adds a flavorful savory zest to raw fruits. It’s especially tasty on avocado, melons, strawberries, mango or stone fruits. For veggies, just sprinkle the ‘Mild’ on liberally then cook any way you like. Also fantastic in soups and on salads and sandwiches.